We improve lives by improving water. With our custom water treatment services, you save on the important things – time, money, and health – so you can live better, work better, and feel better. High Water Standard is a water filtering company that builds, installs, maintains, and repairs water treatment systems in NY and NJ. We are water filter experts. And we don’t say that lightly. In our 15 years of business, we have satisfied thousands of customers, by providing them with clean, safe drinking water. In that time, we have serviced thousands of clients both commercial and residential. And, our team of service technicians can do the same for you. We have installed thousands of water purification systems in the greater New York City area and we can build and install the perfect water filter for your circumstances. Do you have a water filtering system in need of a check up? We can perform routine maintenance on any system, even if it was installed by a different water filter company. Among our capabilities are: cartridge replacement, parts replacement, and full system cleaning to keep your water filter in top shape. If your system stops working for any reason, we will send a technician to address the problem in timely manner. In the case of an emergency, we will fix the problem that same day. We work with all major water filter brands and have the inventory and experience to repair any water filter system. We New Yorkers take pride in our tap water. Many credit the water for the quality of the pizza dough and bagels that New York is famous for. Some have even called it “The Champagne of Drinking Water.” But, is it true? Or is it just another urban legend? And, is your drinking water actually safe? We can tell you what is in your water, the problems it has, and suggest the perfect water filtration system for you. Of course, we can meet any and all of your water filter needs, from installation, to routine service, to system repairs. Bring a bottle of water from your home or office. We will test it for you free of charge. Our test analyzes the levels of acidity, hardness, metals, chlorine, and dissolved salts in your water. It’s simple: For your health, for the environment, and to save time and money. Think about all the ways you use water every day: drinking, showering, cooking, brewing coffee, laundering clothes, washing dishes, cars, and hands, watering plants, and pets… The list is endless. You use water so often and in so many different ways, that the quality of your water directly affects the quality of your life. Knowledge and proper treatment of our customers let`s us to have thouthands grateful clients. At this moment High Water Standard consists from 6 highly experienced people. 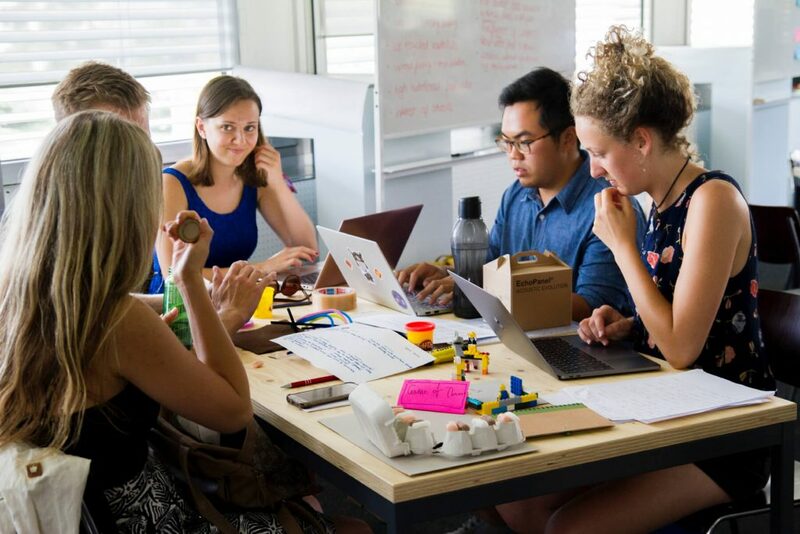 We do believe that to be a successful company you need to hire not a lot of people, but hire right people, and it is what High Water Standard does. If we combine our experience in water filter industry we will get at about 100 years. Are not we experienced but not old, ah? We work in homes, apartments, offices, restaurants, medical facilities, and anywhere else that clean filtered water is desired. No matter your need or your location, we offer you full-service water treatment solutions, and guarantee your satisfaction. Over the last 15 years, we have improved the water standard for thousands of your fellow New Yorkers with our water treatment systems. Our service range stretches across all five New York City boroughs (Brooklyn, Manhattan, Queens, Staten Island and Bronx), North New Jersey, Upstate, and Long Island. We not only install but also service and repair all of the above systems, even if your filter was installed by another company. 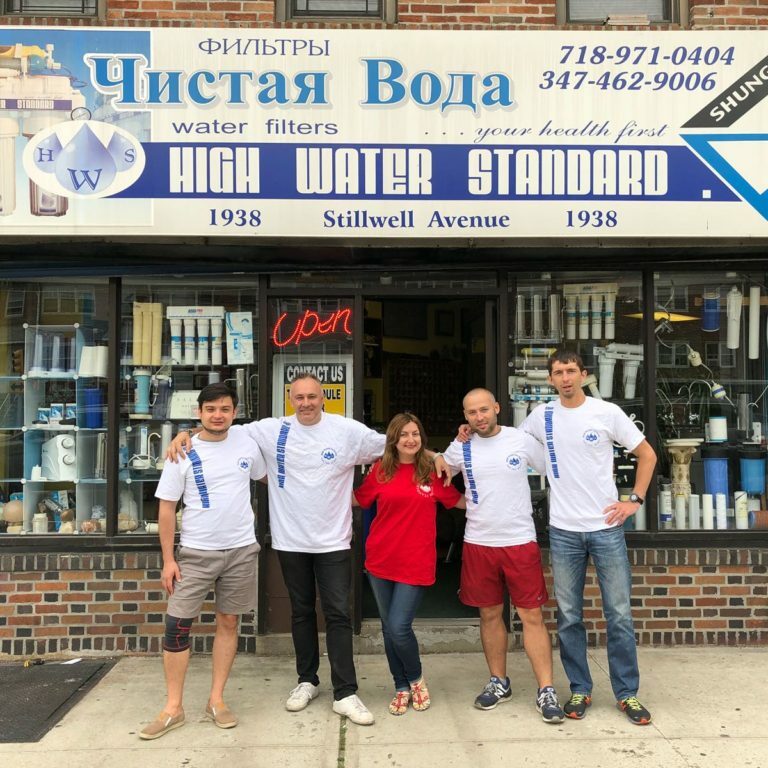 Our expert staff can answer your questions and explain to you what each filter does, how and where it installs, and why everyone in New York needs a water filter to ensure they have clean, safe, and delicious water. We invite you to come try our filtered water for yourself. At our showroom in Brooklyn you can experience firsthand the difference that a water filtration system makes. You can see all our water filters on display, speak with one of our water filter experts, and receive a free professional consultation. Remember, all of our water filtration systems come with our 30 days money back guarantee. 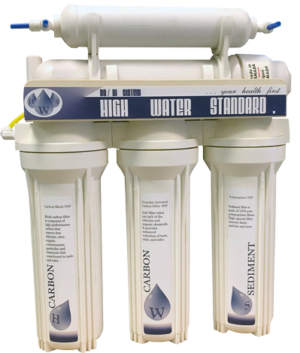 If you are not 100% satisfied with your water filter from High Water Standard, for any reason within 30 days of installation, we will gladly remove the filter and refund you full cost of the filter. After you schedule your consultation, we will send a water filter expert to your location. Our expert will perform a free consultation and recommend the best water treatment solution for your needs. Fresh, healthy, filtered water is only a message away! Learn more about the quality of your drinking water.